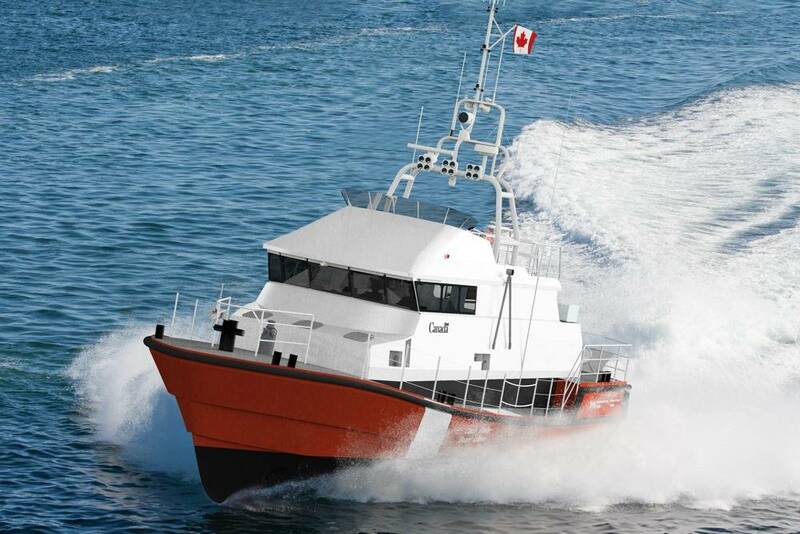 Robert Allan Ltd. has designed a new generation of more capable High Endurance Self-righting Search & Rescue Lifeboats for the Canadian Coast Guard. 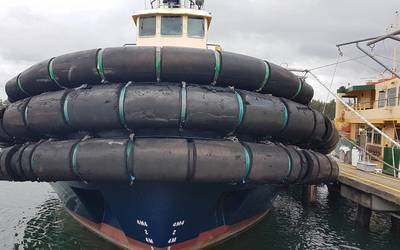 This new design was developed from the successful similar vessels known as the “Severn” Class operated by the Royal National Lifeboat Institution (RNLI) of the United Kingdom. The new Canadian design is larger with a greater range than the RNLI vessel and has been specifically designed to handle the worst weather encountered year around in the waters off Newfoundland and Nova Scotia. The new design is also for construction in aluminium rather than FRP as are the Severn Class. Construction of 10 vessels of this Class is being considered by the Coast Guard to replace existing Arun Class vessels, which are reaching the end of their service life. The High Endurance Search and Rescue Lifeboats will provide greatly enhanced speed, range and weather operability to the Coast Guard enhancing their capability to perform Search and Rescue Missions. The new Search & Rescue Lifeboats are self-righting and capable of safe operation in extreme weather up to Beaufort Force 12 conditions and are able to survive in 12 meter seas. A large well-appointed enclosed bridge amidships provides maximum visibility and protection for the crew and enables the vessel to self-right in all loading conditions. A survivor space is located forward below decks, and the machinery space is aft. A bow thruster is fitted forward for enhanced manoeuvrability. Normal vessel complement is a crew of four. Seating is provided for an additional two supernumeraries such as medical personnel, two survivors (on stretchers) and up to twelve survivors (seated). In support of the vessel's secondary missions including Aids to Navigation, Environmental Response, Maritime Security, DFO Science, DFO Fisheries and Aquaculture Management and other Government Activities the vessel will occasionally be used to transport up to sixteen (16) supernumeraries in addition to the vessel's crew. The vessel has been designed to meet or exceed all requirements of Lloyds Register Rules and Regulations for the Classification of Special Service Craft, July 2012.